My days of having my driver’s license scrutinized by the grocery store clerk to check for authenticity of my birth date are behind me. Occasionally they will scan my license into the POS system and verify it that way. I think it’s more an act of habit, than someone actually thinking I’m a 19 year old trying to illegally buy booze. However, it’s nice to know there is a system in place where licenses can quickly be verified. This same type of verification exists for Salesforce credentials. If your organization is using Salesforce you know how powerful the system is and how much critical data is stored in the system. 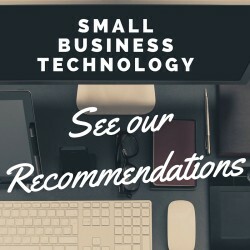 It houses your contacts, your tasks, your opportunities, and is most likely integrated with your other crucial systems like email and marketing as well. A mistake made in Salesforce like the interruption of a workflow or poorly configured reports can results in lost resources, time, and money. If you are going to hire a consultant or full time employee to help you manage Salesforce you should not only require they they are credentialed, but also make sure their credential is valid. This will give you the peace of mind that you are truly hiring a professional who is up to date with the latest features and capabilities of Salesforce. 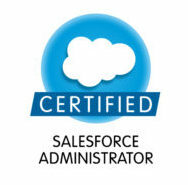 Salesforce provided a public website where you can check the certification status of any individual. You can search by Full Name or by Email address. You will see the results with people who match the name and email location, as well as their location. When you find the person you are looking for, click the View Certifications button by their name. This will display all of their current certifications and the date they were certified.